Use 4599 points to purchase this product! The Twinlab 100% Whey Protein Fuel maximises muscles to ensure that you get the most out of your rigorous workout regime. It enhances muscle anabolism rate, which ensures muscle development and lean muscle build-up. It also helps in quick recovery of muscles from fatigue and soreness after heavy workouts, and improves the overall muscle performance. 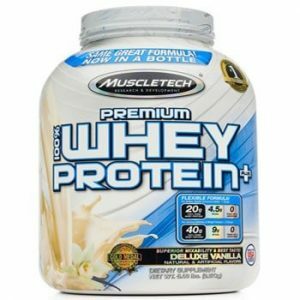 Whey protein has been proven to be most anabolic muscle protein and provides a speedy flow of amino acids to your skeletal muscles, which imprvies your workout performance. Whey protein is easy to digest and absorb. Thus, it provides you quick results. Enriched with the goodness of 100% whey protein, the Twinlab 100% Whey Protein Fuel pumps up your body with instant energy. This supplement is a rich source of protein that helps in building muscle tissues. It also enhances the body’s performance and endurance levels. 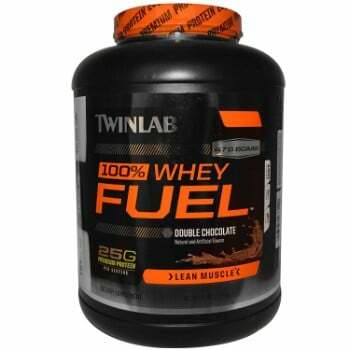 Muscle recovery is fast and smooth with the daily post-workout dose of the Twinlab 100% Whey Protein Fuel. With an enzyme-assisted composition, this mix displays faster absorption and easy digestion. As a result, the amino acids are delivered to the muscles at a fast pace, ensuring quick recovery. With no filers, this power-packed composition of Branched Chain Amino Acids (BCAAs) offers 25 grams of premium proteins in each serving.